At a meeting of the Board of Visitors held in Charlottesville on October 7, 1817, Thomas Jefferson wrote that he desired a French-speaking boarding facility at the University of Virginia "wherein it is proposed that the boarders shall be permitted to speak French only, with a view to their becoming familiarized to conversation in that language." In 1985, his desire came to fruition. 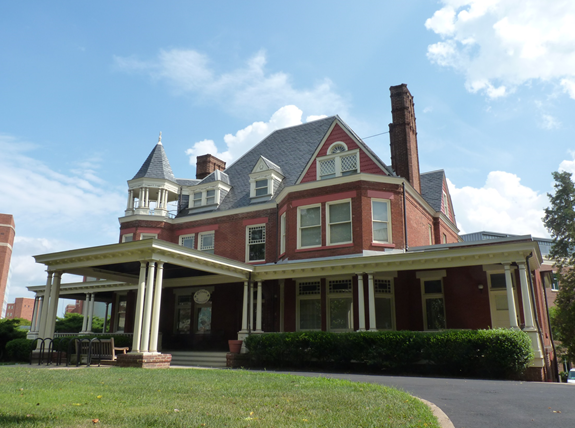 The Maison Française, built in 1896 by Dr. Paul Barringer and located at 1404 Jefferson Park Avenue, is a prime example of the Queen Anne style of architecture. The mansion was renovated in 1984 and opened its doors to the first generation of French-speaking students in the Fall of 1985. It is both a residential house and a center for French cultural life at the University of Virginia. Students, faculty and members of the community all play an important role in fostering the unique cultural and educational atmosphere of the Maison Française. Time to talk! Join us at the French House every Thursday from 3:30 pm - 5:30 pm for conversation, coffee, and games (all levels welcome!). Bon Appetit! Join the residents of the House for Dinner in French, Monday -Thursday, at 6 pm. Dinners can be purchased using a a meal plan or Cavalier card. Movie Nights! Every Wednesday at 7 pm, there will be a screening of a recent French film. All are welcome.